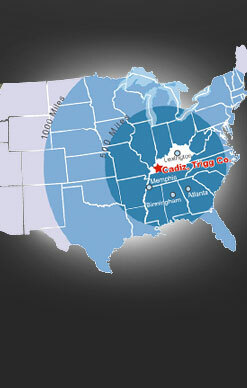 Cadiz, Kentucky is within 1 hour of Barkley Regional Airport in Paducah,Kentucky and Nashville International Airport, Nashville, Tennessee. The Nashville International Airport is our commercial airport. Located only 1 hour away via interstate 24, this world class airport provides hundreds of flights daily that can take you anywhere in the world. 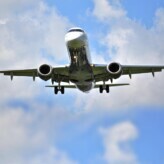 Air cargo is another important component of the Nashville International Airport. The Smith Broadbent Airport at Lake Barkley State Park sells 100 low lead and Jet A Fuels. If the plane is tendon wheeled, you can land a 60,000 pound aircraft. Single is 30,000 pound aircraft. **There is a 4800 runway.